Will your class escape in time? Try this escape room style game with your students today! 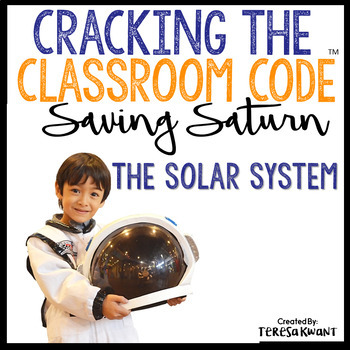 This is a fun game that is perfect for reviewing your science unit about the solar system. To play this game your students should know the following vocabulary: orbit, rotation, revolution, planets, comet, meteor, meteorite, meteoroid, Mercury, Venus, Earth, Mars, Jupiter, Saturn, Uranus, Neptune, solar system, galaxy, Milky Way, asteroid, satellite, inner planets, and outer planets. This is an interactive game where the students are timed. They are trying to save Saturn, which has started to drift out of orbit. Students must solve a string of science questions and clues, as well as decode different ciphers. If your class has never played an escape style game before, I suggest playing this as a whole class. However, materials are provided for up to 6 different groups to play at one time. There is so much in this resource, and I appreciate all the hard work the author put into it. It will take more time to put together than I had expected, but I like that photos are included in the directions. Thank you! Looks simple to use and engaging. Can’t wait to try it out. Thanks! This is a great resource, it just took my students WAY longer than I thought it would! My students loved this activity and they really had to think. This was a perfect cumulative review of our space unit. Every single student was actively engaged and they worked really well as teams. It was well worth the time it took to assemble. Well done! Can’t wait to use this with my 5th graders! While the resources does take time to prepare, one can use it over and over again with small additions. And once you create one Code, you will know how to do the next one. Can’t wait to use the next one! Such a fun review for our Solar System unit! Thanks for such great resources! Very engaging for students! Love!!! Loved this…great resource. Thank you! This was such an engaging supplement to our Solar System unit in Science. The students really enjoyed it! I was looking for an escape activity to use in Science with our Earth and Sun unit. This was perfect! Planning the Escape! Can’t wait for the kiddos to get involved. This is an excellent escape room activity. Great Pack for variety and the kids loved playing it! My students really love doing these Cracking the Code activities. They are easy to set up and the students are able to do them without too much trouble. We don’t spend much time on the solar system so to have this activity that helps refresh their memory is great for learning. My kids keep asking when we’re going to do another one! Students had lots of fun. This was awesome! I used this as a whole-class review before FSA Testing. It is time consuming to initially set up, as there’s a lot of cutting and organizing, but the directions are clear and include pictures. Once it’s all set up, it’s easy for the kids to complete. I will definitely be purchasing more of these activities for next school year! This was fun for my student. Well put together and easy to understand. I can’t wait to try this escape room as a whole class. We are in the midst of learning about the solar system right now, so I plan to use it soon! My class had a blast with this! Your products rock! Thanks for sharing! Amazing resource, as always! Thank you. I really like this activity. I bought this to do as a wrap-up activity at the end of my grade 6 solar system unit, and I can’t wait to do with my class! It’s extremely thorough and I love that there’s the option to do it as a whole class OR split the class into smaller groups, each with their own mission. My kids know this is coming up in a few weeks and they are so pumped! 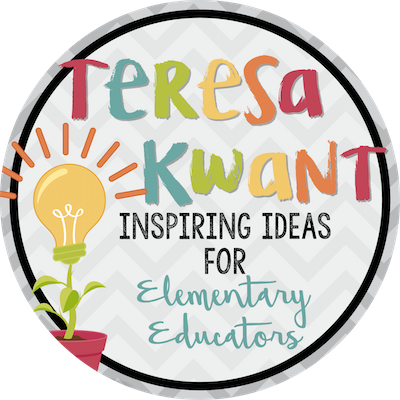 Such a fun and engaging resource! My third graders enjoyed this activity. It took over 90 minutes for all groups to finish so we took a break for recess in the middle. Totally engaging and challenging material. This is a great activity but I struggled with the prep work since I am a specialist and see 6 large (40+ students) classes for each grade level. I have a friend who teaches 5th grade and purchased a different kit and she said it was great. Great activity!!!! My students stayed engaged and really enjoyed it!! Haven’t used this yet, but it looks like a great bundle of information for students to work through. This was a blast! We made it out, but had more than 60 minutes on the clock. I have a couple of your escape rooms and the kids absolutely LOVE them. Thank you! My class had so much fun with this! I am so excited to use this with my special ed class. I believe this will be a very fun project and game. Well worth the work to put it together. Kids love it! The one time prep is worth it on all of these cracking the code products! Great product! I can’t wait to use it with my students!!! My students loved this activity. It ?helped solidify their understanding of the solar system. Thank you! My students love doing these and don’t even realize how much they are learning in the process! Great product, give yourself plenty of time to print, laminate, and put together, but the end result is worth it! This will be a fun way to review! Thank you! This was awesome! Time consuming to put together, but so worth it! I haven’t used it yet but it looks like a great resource to wrap up our unit!